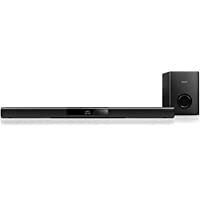 Get LG LAS260B 2.0-Channel Sound Bar with Wireless Subwoofer & Bluetooth (Black) from Argos.co.uk. Get Yamaha SRT700 5.1-Channel Home Theater Speaker System with Wireless Rear Speakers & Subwoofer & Bluetooth (Black) from Amazon.co.uk. Get JVC TH-WL315B 2.1-Channel Sound Bar with Wireless Subwoofer & Bluetooth (Black) from PC World. Get JVC TH-WL515B 2.1-Channel Sound Bar with Wireless Subwoofer & Bluetooth (Black) from PC World. Super Hot! 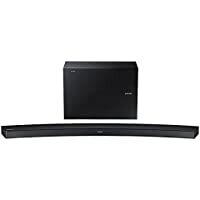 Get Samsung HW-J6500R 2.1-Channel Sound Bar with Wireless Subwoofer (Black) from Groupon. Get LG SH6 4.1-Channel Sound Bar with Bluetooth (Black) from Sonic Direct. Today only, get Refurbished Panasonic SC-HTB680 350W Premium Soundbar with Wireless Subwoofer from eBay.co.uk (via Panasonic). Get Panasonic SC-HTB385EBK 2.1-Channel Sound Bar with Wireless Subwoofer & Bluetooth (Black) from PC World. 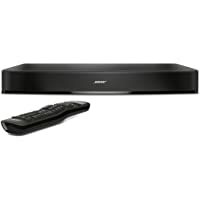 Get Bose Solo 15 Series II Sound Bar with Bluetooth (Black) from Amazon.co.uk. Get LG LAS260B 2.0-Channel Sound Bar with Bluetooth (Black) from Amazon.co.uk. 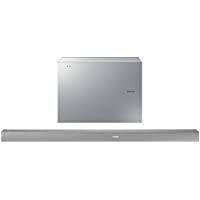 Get Samsung HW-K551 3.1-Channel Sound Bar with Wireless Subwoofer & Bluetooth (Silver) from Crampton & Moore. Get Bush 2.1-Channel Sound Bar with Wireless Subwoofer & Bluetooth (Black) from Argos.co.uk. 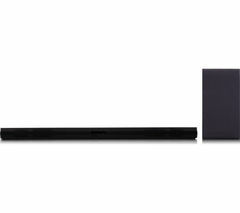 Get Bush 2.1-Channel Sound Bar with Wired Subwoofer & Bluetooth (Black) from Argos.co.uk. Get Panasonic SC-ALL70 3.1-Channel Sound Bar with Wireless Subwoofer & Bluetooth (Black) from PRC Direct. Get JVC TH-WL315B 2.1-Channel Sound Bar with Wireless Subwoofer & Bluetooth (Black) from Currys.co.uk. 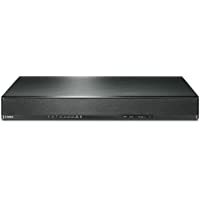 Get Samsung HW-J6500R 2.1-Channel Sound Bar with Wireless Subwoofer (Black) from Power Direct. Get Philips HTL2163B 2.1-Channel Sound Bar with Wireless Subwoofer & Bluetooth (Black) from Argos.co.uk. 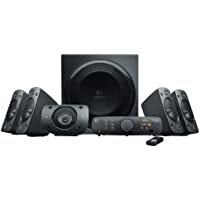 Get Logitech Z906 5.1-Channel Home Theater Speaker System (Black) from Amazon.co.uk. 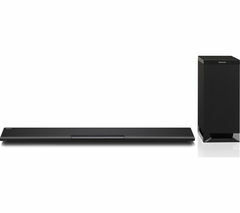 Get Sony HT-RT5 5.1-Channel Sound Bar with Wireless Rear Speakers & Bluetooth (Black) from Power Direct. 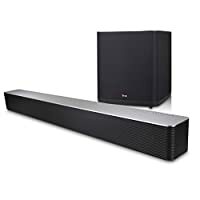 Get LG LAS260B 2.0-Channel Sound Bar with Wireless Subwoofer & Bluetooth (Black) from Amazon.co.uk. 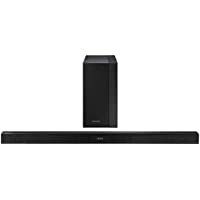 Get Sony HT-NT5 2.1-Channel Sound Bar with Wireless Rear Speakers & Subwoofer (Black) from Power Direct. 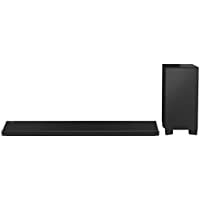 Discount : 10% via voucher "SOUND10"
Get JVC TH-WL515B 2.1-Channel Sound Bar with Wireless Subwoofer (Black) from Currys.co.uk. Get Samsung HW-J6501 6.1-Channel Sound Bar with Wireless Subwoofer (Silver) from Crampton & Moore. 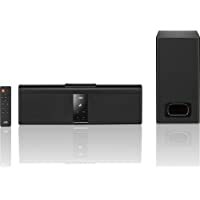 Get Logitech Z-906 5.1-Channel Home Theater Speaker System (Black) from Amazon.co.uk. Get Panasonic SC-HTB885EBK 5.1-Channel Sound Bar with Wireless Downfiring Subwoofer (Black) from Amazon.co.uk. Get Panasonic SC-HTE200 2.1-Channel Sound Bar with Wireless Subwoofer & Bluetooth (Black) from Amazon.co.uk. Get Samsung HW-J355 2.1-Channel Sound Bar with Wireless Rear Speakers (Black) from Hughes. Price Drop! 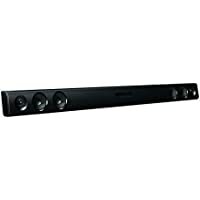 Get JVC TH-WL315B 2.1-Channel Sound Bar with Wireless Subwoofer & Bluetooth (Black) from Currys.co.uk. Get Yamaha SRT700 5.1-Channel Home Theater Speaker with Wireless Rear Speakers & Subwoofer & Bluetooth (Black) from Amazon.co.uk. Get LG HS9 7.1-Channel Sound Bar with Wireless Subwoofer & Bluetooth (Black) from PRC Direct. Get Yamaha YAS105BLB 7.1-Channel Sound Bar with Wireless Subwoofer (Black) from Richer Sounds. Get Kitsound KSOVATION Sound Bar with Bluetooth (Black) from eBay.co.uk (via Ao). 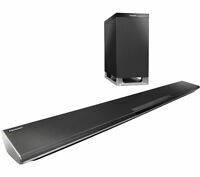 Get Samsung HW-K430 2.1-Channel Sound Bar with Wireless Subwoofer & Bluetooth (Black) from Currys.co.uk. 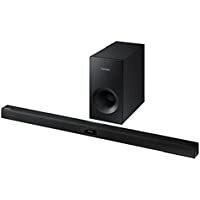 Get Panasonic SC-HTE80 2.1-Channel Sound Bar with Wireless Subwoofer & Bluetooth (Black) from Amazon.co.uk. Get LG SH2 2.1-Channel Sound Bar with Wireless Subwoofer & Bluetooth (Black) from PC World. Get LG SH7 4.1-Channel Sound Bar with Wireless Subwoofer (Silver) from Amazon.co.uk. 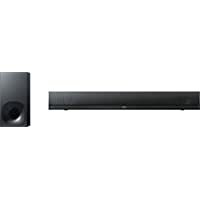 Get Sony HT-NT5 2.1-Channel Sound Bar with Wireless Rear Speakers & Subwoofer (Black) from Amazon.co.uk. Get Samsung HW-J6001R 2.1-Channel Home Theater Speaker with Wireless Subwoofer & Bluetooth (Silver) from ao. 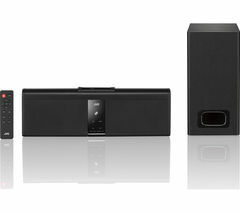 Get Samsung HW-K450 2.1-Channel Sound Bar with Wireless Subwoofer & Bluetooth from Currys.co.uk. 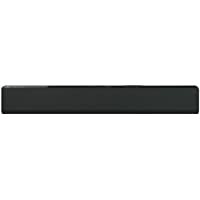 Get Goodmans GDSBT150OP 2.1-Channel Sound Bar with Wireless Subwoofer (Black) from Amazon.co.uk. Get Logitech Z506 5.1-Channel Home Theater Speaker (Black) from Amazon.co.uk. 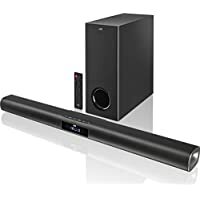 Get Yamaha YAS105BLB 7.1-Channel Sound Bar with Wireless Subwoofer (Black) from Amazon.co.uk (via Peter Tyson Online). 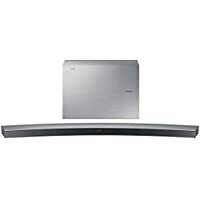 Get LG SH5 2.0-Channel Sound Bar with Wireless Subwoofer (Silver) from Amazon.co.uk (via Tvsandmore). 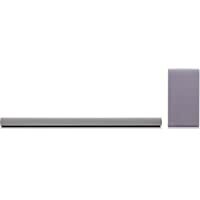 Get LG SH5 2.0-Channel Sound Bar with Wireless Subwoofer (Silver) from ao. Super Hot! Get Logitech Z-906 5.1-Channel Home Theater Speaker (Black) from Amazon.co.uk. 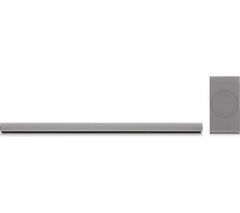 Get Samsung HW-K430 2.1-Channel Sound Bar with Wireless Subwoofer & Bluetooth from Currys.co.uk. Get Panasonic SC-HTE200 2.1-Channel Sound Bar with Wireless Subwoofer & Bluetooth (Black) from PRC Direct. 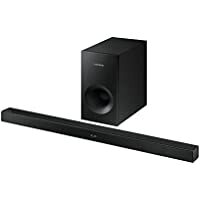 Get Goodmans GDSBT150OP 2.1-Channel Sound Bar with Wireless Subwoofer (Black) from Tesco Direct. 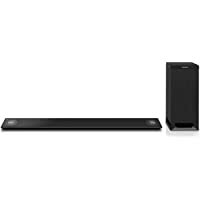 Get Philips HTL2163B 2.1-Channel Sound Bar with Wireless Subwoofer & Bluetooth (Black) from Tesco Direct. Get Refurbished Panasonic SC-HTE80 2.1-Channel Sound Bar with Wireless Subwoofer & Bluetooth (Black) from eBay.co.uk (via Panasonic). Get Samsung HW-J6001R 2.1-Channel Home Theater Speaker with Wireless Subwoofer & Bluetooth (Silver) from Look Again.